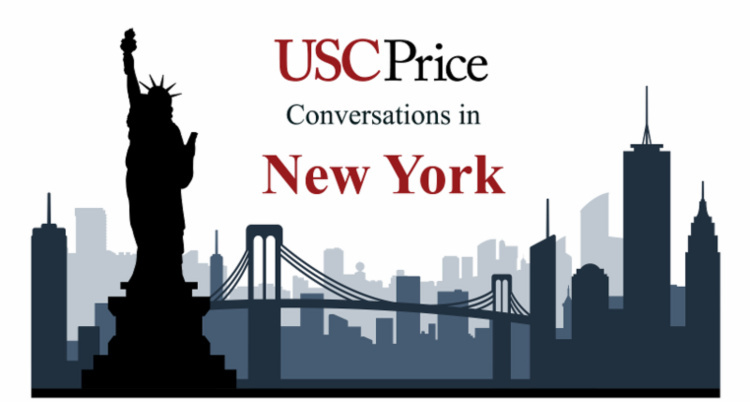 USC Price Conversations in New York: "Is the Cemetery Dead?" This spring, Professor Sloane will join Price Conversations in New York for the second time to discuss his newest book, Is the Cemetery Dead? As a trained historian, Sloane’s mordant wit and keen observations provide a provocative and entertaining approach to the evolving ways we commemorate the dead. Sloane is also descendant from multiple generations of cemetery managers and he grew up in Syracuse’s Oakwood Cemetery. Enriched by these experiences, as well as his personal struggles with overwhelming grief, Sloane presents a remarkable and accessible tour of our new American way of death. We hope you can join the USC Sol Price School of Public Policy for this annual series of conversations in New York about hot-button policy issues facing the nation. Network with fellow New York alumni, current students, and friends of the school while participating in thought-provoking discussions with government experts, educators, and policy analysts. Learn more about Professor David Sloane here.